Hello guests, and welcome to the UK Hippies forum! You may be thinking there's not much to see, but you can be forgiven for being mistaken. This is a totally free forum, and signing up is also free. Once signed up and approved, you will be able to see the full forum. This includes sections on Off Grid Living, Nomadic Living (Van Life) and fun stuff like word games, plus much more. 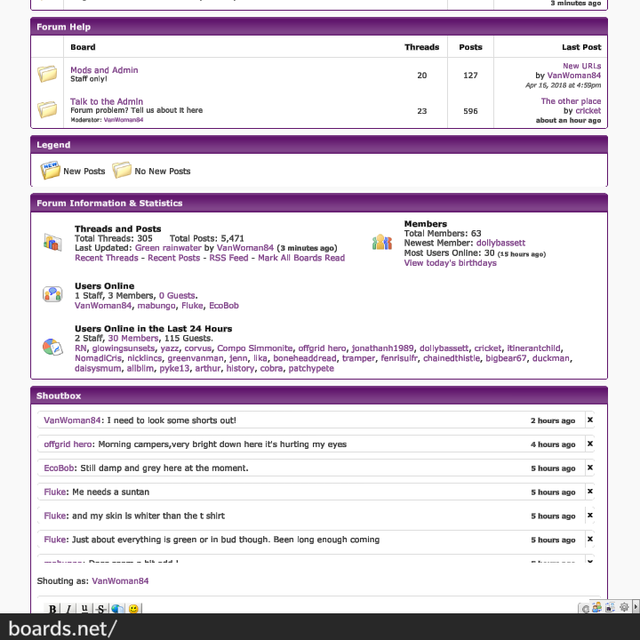 In total there are four further Forum sections, with 23 boards between them. Please feel free to sign up, and enjoy the full forum! Here's a couple of screen shots to give an idea of the full forum. Hellooo guests! I can see that many of our guest forum readers keep coming back. This includes members that have left, even deleting their accounts. Did you know that there's far more of the forum to see? Clicking on Recent Topics will only show you new threads from the two sections that can be seen as a guest. General Chat - where anything can be discussed. If you scroll up this thread, you will see screen shots of the full forum. Sign up and you can see it too, and join in! Just a reminder that you can only read the whole forum if you are signed up, and signed in. Using the Recent Posts link as a guest will only show posts from the two public sections. Why not join up and see the whole forum?